. : Optics & Photonics Focus :: Oil-water Illustration of spin gradient thermometry :. 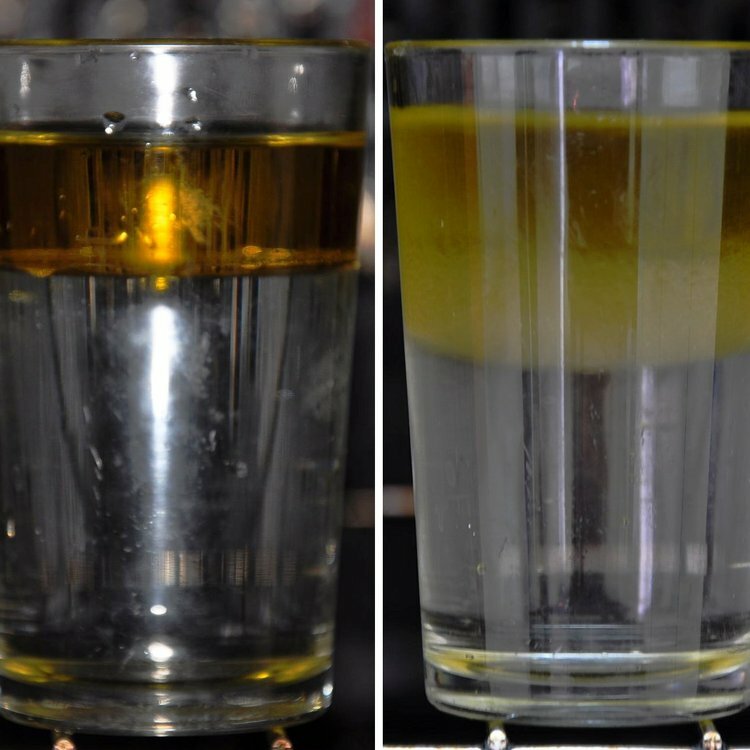 At low temperatures, oil and water do not mix and form clearly separated phases with a tiny interface (left). At higher temperatures, the interface region is considerably larger, allowing one to deduce the temperature of the fluids (right).